With a 16-day summer vacation in the rear view mirror, the USMTS Hunt for the Casey’s Cup powered by Summit was back on track Tuesday at the Hamilton County Speedway and Johnny Scott was back in victory lane. Scott, who won the last event on June 30 at the Devils Lake Speedway in Crary, N.D., ran down leader Lucas Schott midway through the 35-lap Casey’s General Stores “A” Main and then pounced with six laps to go when Schott gave up the preferred low line in search of a way around a lapped car. The other half of the twin tandem, Stormy Scott, set the pace for the start of the race with Schott following for the first four laps before using the high side to sneak past for the lead. From there, ‘Cool Hand Luke’ stretched his lead while Johnny got around Stormy with 15 laps in the books on the ultra-smooth half-mile of clay in Webster City, Iowa. Johnny Scott, who won here in 2013, looked content to take a runner-up finish back to his pit, but when Schott chose to search for a faster way around a trio of lapped cars in front of him, Scott was content to step up and follow the back-markers. It proved to be the decisive move of the night for both drivers as Schott quickly realized his miscue and tucked back in behind the new leader. The stayed that way until the checkered flag waved. The win was the seventh of of the season for Johnny Scott—best in the United States Modified Touring Series this year—and the 38th of his career. Rodney Sanders, who advanced toward the front early on by screaming around the high side of the track, claimed the fourth spot behind Johnny Scott, Schott and Stormy Scott while Casey Arneson rounded out the top 5 finishers. Dereck Ramirez, Cory Crapser, Terry Phillips, Zack VanderBeek and Joe Duvall completed the top 10. 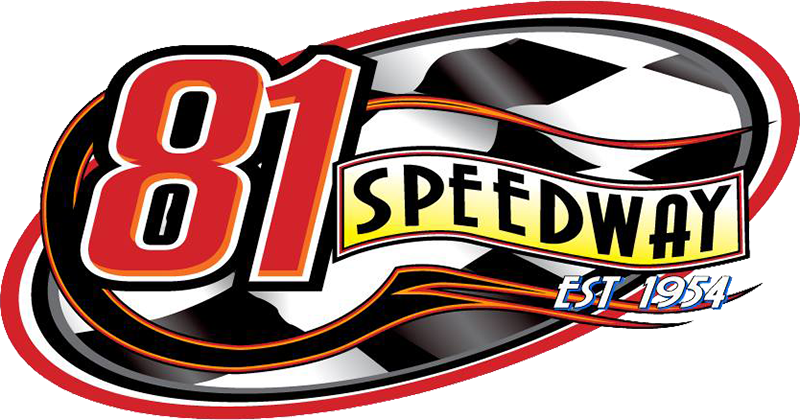 On Wednesday, the series will make its triumphant return to the Southern Iowa Speedway in Oskaloosa, Iowa, for the 11th Annual Summit Racing Summer Classic during the Mahaska County Fair and the 34th USMTS event held in Osky. It's been seven years since the USMTS fired up at “The Monster” and fans have witnessed some memorable shows here in the past, none more memorable than Brad Pinkerton's drive from 16th and a nearly half-lap deficit to pass Kelly Shryock late in the race for the win in July 2008. VanderBeek captured his second series win at his home track in the last event held here on July 20, 2011. Shryock tops the list with 12 career wins in Oskaloosa while Pinkerton has four. Ryan Gustin, Jason Krohn, Tommy Myer, John VanDenBerg and Chris Spieker each have a pair of wins while Al Hejna, Jason Hughes, Mark Noble, Bruce Hanford, Dan Bohr and Tony Fraise have one victory apiece. The pit gate opens at 4 p.m., grandstands open at 5 and racing starts at 7:15. General admission is $20 with kids ages 12-16 and seniors 65+ just $15. Children 10 and under get in for free. Pit passes are $35. Come meet USMTS competitor Zack VanderBeek at the Casey’s General Store located near the race track at 1310 A Avenue West from 11:30 a.m. to 1 p.m., and see his beautiful No. 33Z Oreo Chocolate Candy Bar VanderBuilt Race Cars Modified powered by Sput's Racing Engines. To find the Casey’s General Store nearest you, visit www.caseys.com. Coupons good for $2 off adult ticket available on race day at Casey's General Stores locations in Albia, Eddyville, Fremont, Grinnell, Knoxville, Lovilia, Monroe, Montezuma, New Sharon, Oskaloosa, Ottumwa, Pella, Sigourney, Sully and What Cheer. To find the Casey’s General Store nearest you, visit www.caseys.com. After the Oskaloosa invasion, the series heads to the I-80 Speedway in Greenwood, Neb., for the 8th Annual Imperial Tile Silver Dollar Nationals on Friday and Saturday, July 20-21, as the USMTS teams up with the Lucas Oil Late Model Dirt Series for one of America’s crown jewel events. 2. (3) 20 Rodney Sanders, Worthington, Minn.
3. (4) 49jr Jake Timm, Minnesota City, Minn.
4. (5) 14e Chase Ellingson, Iowa Falls, Iowa. 5. (2) 29 Ron Ver Beek, Oskaloosa, Iowa. 6. (6) 49j Jason Murray, Hartford, Iowa. 7. (7) 45h Jason Hickingbottom, Ogden, Iowa. 1. (1) 33z Zack VanderBeek, New Sharon, Iowa. 2. (7) 2s Stormy Scott, Las Cruces, N.M.
3. (8) 1st Johnny Scott, Cameron, Mo. 4. (2) 00j J.D. Auringer, Evansdale, Iowa. 5. (4) 2g Kenny Gaddis, Diana, Texas. 7. (5) 00 Tristan Vesterby, Webster City, Iowa. 8. (6) 9 Jerad Fuller, Memphis, Mo. 1. (2) 10 Casey Arneson, Fargo, N.D.
3. (5) 91 Scott Drake, Webb City, Mo. 4. (1) 8x Scott Olson, Blairsburg, Iowa. 5. (3) 23 Adam Kates, Tonganoxie, Kan.
6. (7) 19sb Lance Mari (R), Imperial, Calif.
7. (6) 7 Sean Gaddis (R), Diana, Texas. 8. (8) 1r Doug Rivera, Yuma, Ariz.
1. (1) 07 Cory Crapser, Chippewa Falls, Wis.
3. (6) 91 Joe Duvall, Claremore, Okla.
4. (3) 5d Devon Havlik, Iowa Falls, Iowa. 5. (7) 91 Shawn Ryan (R), Waterloo, Iowa. 6. (4) 0 Jake O'Neil (R), Tucson, Ariz.
7. (5) 2 Jerid Ratzke, Williams, Iowa. 1. (4) 2g Kenny Gaddis, Diana, Texas. 2. (3) 91 Shawn Ryan (R), Waterloo, Iowa. 3. (8) 7 Sean Gaddis (R), Diana, Texas. 4. (2) 8x Scott Olson, Blairsburg, Iowa. 5. (1) 14e Chase Ellingson, Iowa Falls, Iowa. 6. (7) 45h Jason Hickingbottom, Ogden, Iowa, Harris/ChevPerf, $75. 7. (6) 8c Chris Clark, Jackson, Wyo., GRT/PerfAuto, $90. 8. (9) 1r Doug Rivera, Yuma, Ariz., Harris/PerfAuto, $75. 9. (5) 19sb Lance Mari (R), Imperial, Calif.
1. (1) 00j J.D. Auringer, Evansdale, Iowa. 2. (2) 5d Devon Havlik, Iowa Falls, Iowa. 3. (4) 23 Adam Kates, Tonganoxie, Kan.
4. (6) 0 Jake O'Neil (R), Tucson, Ariz.
5. (3) 29 Ron Ver Beek, Oskaloosa, Iowa, IROC/Midstate, $75. 6. (8) 2 Jerid Ratzke, Williams, Iowa. 7. (9) 9 Jerad Fuller, Memphis, Mo., GRT/Mullins, $75. 8. (5) 49j Jason Murray, Hartford, Iowa, JMRC/Tesar, $75. 9. (7) 00 Tristan Vesterby, Webster City, Iowa, Victory/Jono’s, $75. 1. (6) 1st Johnny Scott, Cameron, Mo., VanderBuilt/Durham, 35, $2500. 2. (3) 69 Lucas Schott, Chatfield, Minn., MBCustoms/Hill, 35, $1500. 3. (1) 2s Stormy Scott, Las Cruces, N.M., VanderBuilt/Mullins, 35, $1000. 4. (8) 20 Rodney Sanders, Happy, Texas, MBCustoms/Hatfield, 35, $1070. 5. (2) 10 Casey Arneson, Fargo, N.D., VanderBuilt/Durham, 35, $500. 6. (10) 4r Dereck Ramirez, Woodward, Okla., Hughes/Cornett, 35, $765. 7. (4) 07 Cory Crapser, Chippewa Falls, Wis., MBCustoms/Troy’s, 35, $450. 8. (7) 75 Terry Phillips, Springfield, Mo., GRT/Durham, 35, $760. 9. (5) 33z Zack VanderBeek, New Sharon, Iowa, VanderBuilt/Sput’s, 35, $730. 10. (9) 91 Joe Duvall, Claremore, Okla., MBCustoms/ChevPerf, 35, $650. 11. (11) 91 Scott Drake, Webb City, Iowa, MBCustoms/ChevPerf, 35, $225. 12. (14) 00j J.D. Auringer, Evansdale, Iowa, Rage/KSE, 35, $200. 13. (18) 23 Adam Kates, Tonganoxie, Kan., LG2/Speedway, 35, $625. 14. (17) 7 Sean Gaddis (R), Diana, Texas, MBCustoms/PTS, 35, $250. 15. (20) 0 Jake O'Neil (R), Tucson, Ariz., LG2/Cornett, 35, $595. 16. (16) 5d Devon Havlik, Iowa Falls, Iowa, Sidebiter/Jono’s, 35, $200. 17. (22) 2 Jerid Ratzke, Williams, Iowa, GRT/ChevPerf, 35, $200. 18. (23) 14e Chase Ellingson, Iowa Falls, Iowa, GRT/KSE, 34, $200. 19. (15) 91 Shawn Ryan (R), Waterloo, Iowa, DirtHustler/King, 34, $250. 20. (19) 8x Scott Olson, Blairsburg, Iowa, Harris/WideOpen, 26, $200. 21. (12) 49jr Jake Timm, Minnesota City, Minn., MBCustoms/Sput’s, 19, $250. 22. (13) 2g Kenny Gaddis, Diana, Texas, MBCustoms/PTS, 18, $250. 23. (21) 19sb Lance Mari (R), Imperial, Calif., MRT/Yeoman, 1, $250. Lap Leaders: S. Scott 1-4, Schott 5-29, J. Scott 30-35. Total Laps Led: Schott 25, J. Scott 6, S. Scott 4. Margin of Victory: 0.873 second. Time of Race: 17 minutes, 37.908 seconds (1 caution). Provisional Starters: Mari, Ellingson (track), Ratzke (track). Eibach Spring Forward Award: J. Scott (advanced 10 positions). FK Rod Ends Hard Charger: J. Scott (started 6th, finished 1st). Next Race: Wednesday, July 18, Southern Iowa Speedway, Oskaloosa, Iowa. USMTS Hunt for the Casey’s Cup Points: J. Scott 2045, O'Neil 1883, Sanders 1867, S. Scott 1860, VanderBeek 1852, Schott 1782, Ramirez 1780, Phillips 1754, Kates 1268, Duvall 1230. Grant Junghans USMTS Rookie of the Year Points: O'Neil 1883, Mari 772, Carlos Ahumada Jr. 760, Zane Ferrell 692, Billy Vogel 610. USMTS Engine Builder of the Year Points: Durham 213, Sput’s 179, Cornett 163, Mullins 160, Hatfield 148. USMTS Manufacturers Championship Points: VanderBuilt 238, MBCustoms 226, Hughes 168, GRT 167, LG2 159. American Racer – Doug McCollough. Beyea Custom Headers – Ratzke. Casey’s General Stores – Phillips. Forty9 Designs – S. Gaddis, Ryan. GRT Race Cars – Ellingson. Integra Shocks & Springs – Ellingson. Jerovetz Motorsports Racing Parts – O'Neil. Mesilla Valley Transportation – K. Gaddis. Out-Pace Racing Products – Havlik. Simpson Performance Products – Schott. Swift Springs – J. Scott, Auringer. Wilwood Disc Brakes – Crapser.